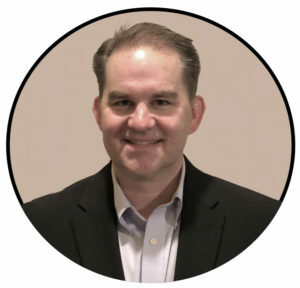 The leadership reputation of L.G. 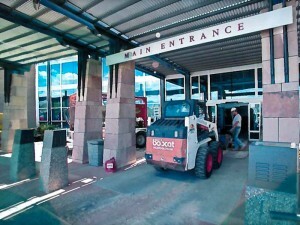 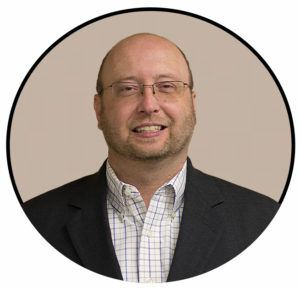 Barcus & Sons, Inc. has been earned in over six decades of solid performance. 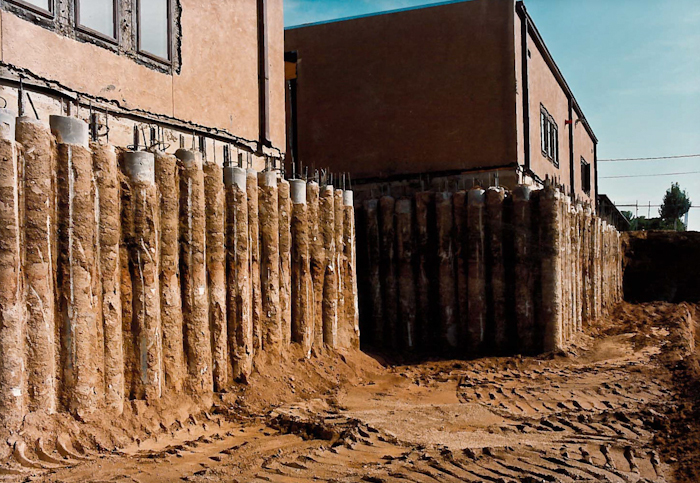 Performance in building strong and cost-effective solutions for every form of foundation requirements. 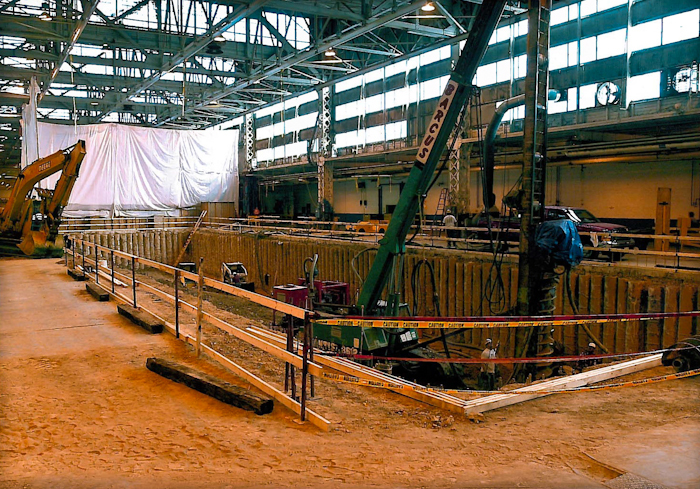 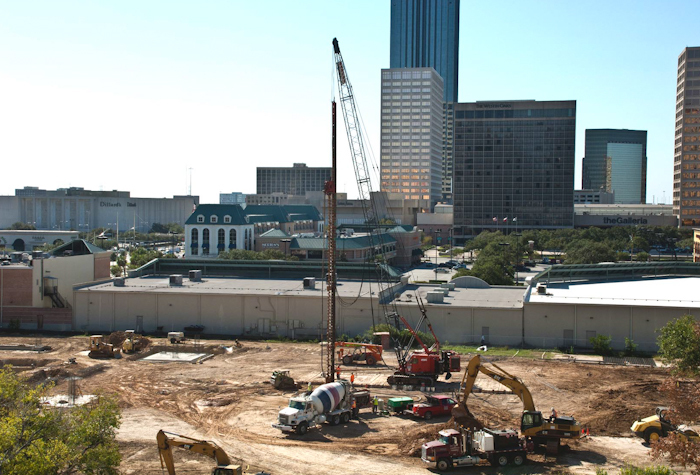 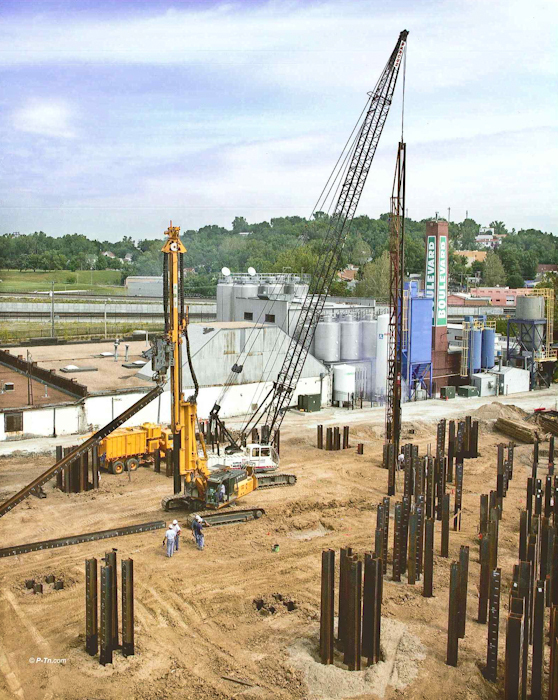 Performance that has given engineers, consultants, general contractors, and owners the confidence that a project that begins with Barcus foundations will be completed with quality and integrity. 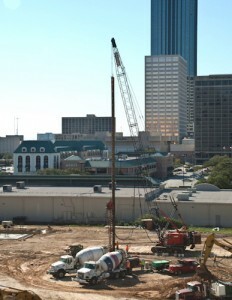 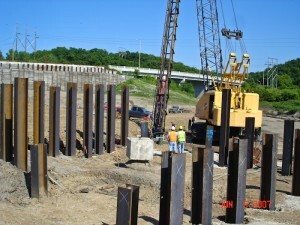 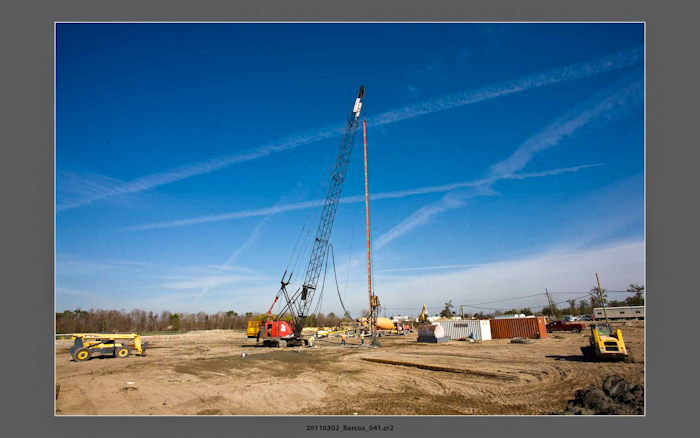 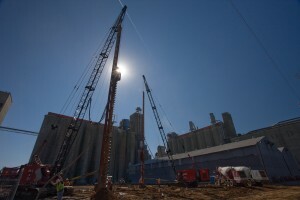 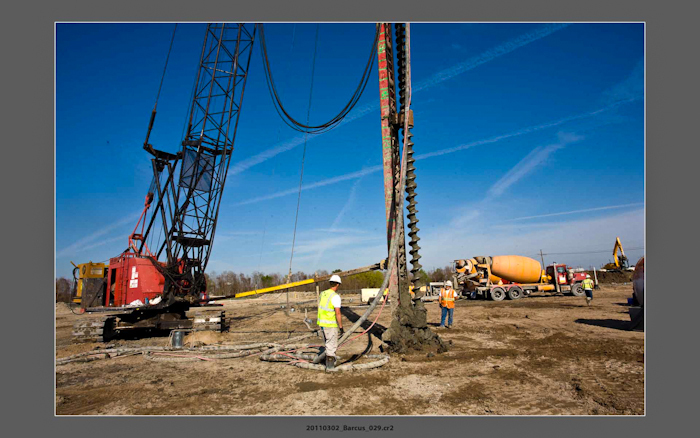 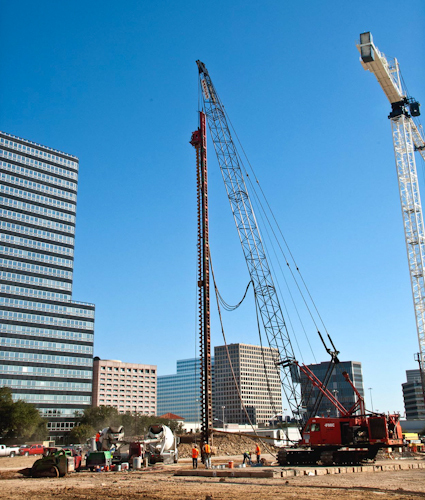 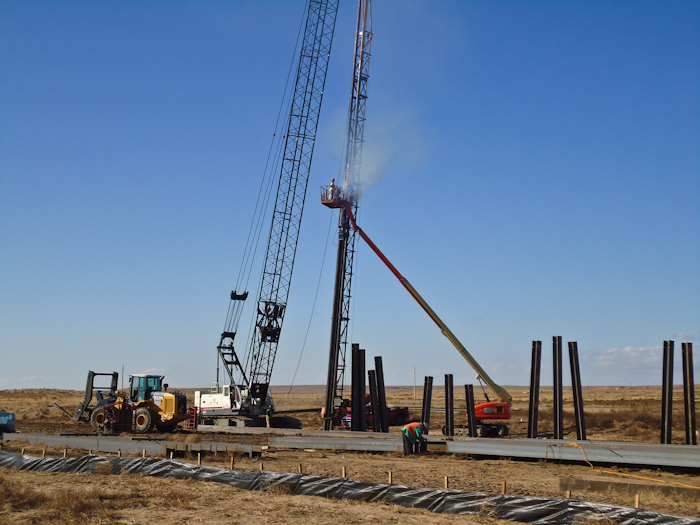 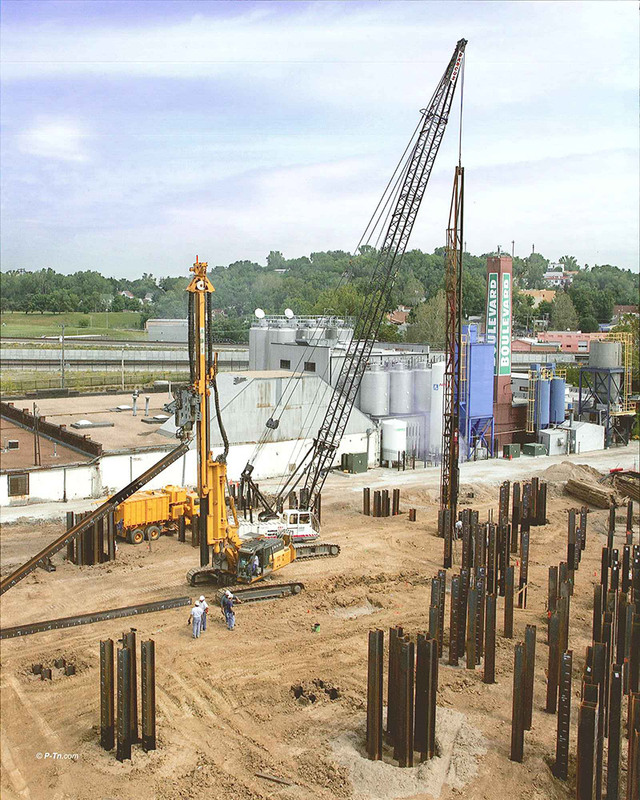 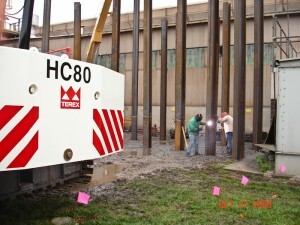 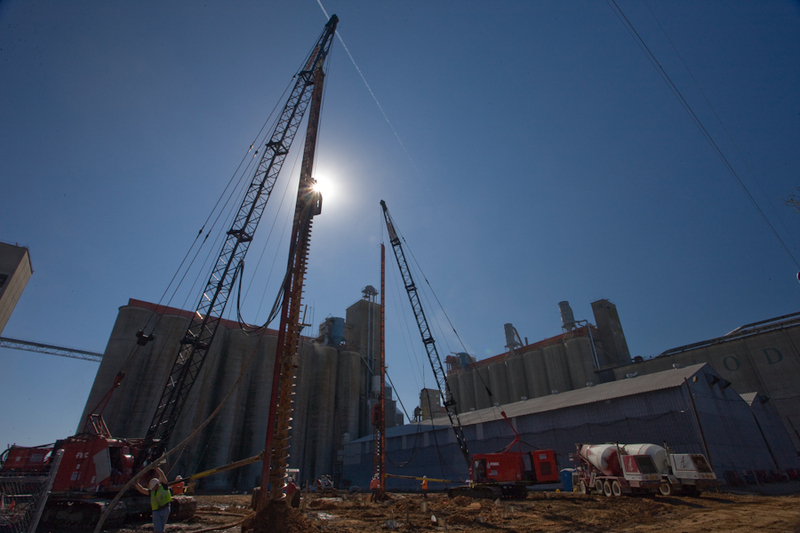 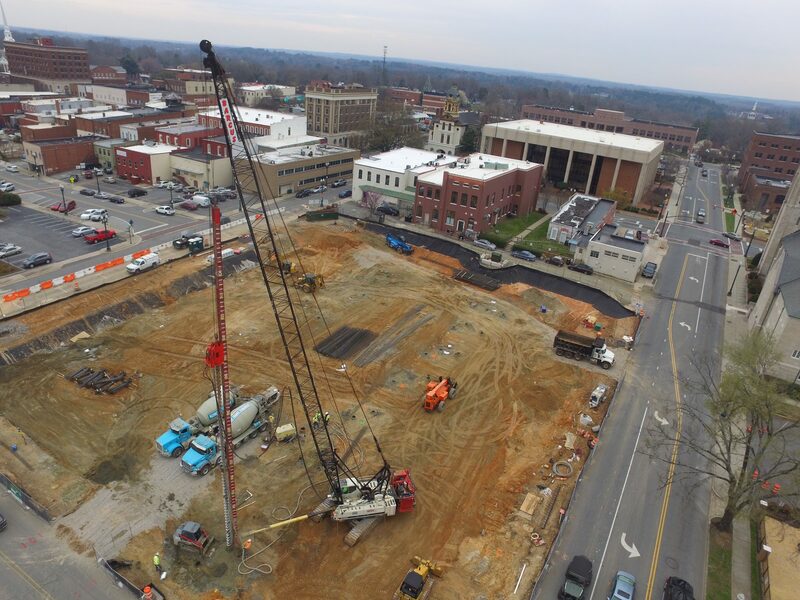 They are cast-in-place concrete piles installed by rotating a continuous-flight, hollow-shaft auger into the ground to the specified pile depth. 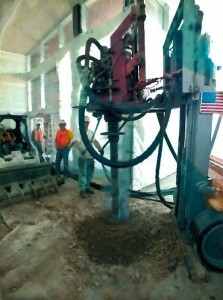 Grout is pumped through the auger stem as the auger is being withdrawn. The result is a column of high-strength grout. 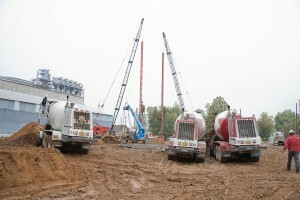 What loads will they carry? 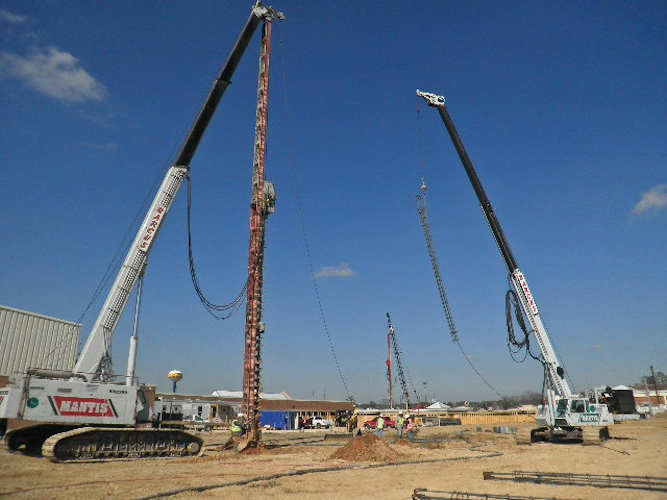 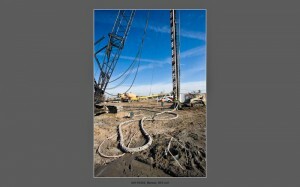 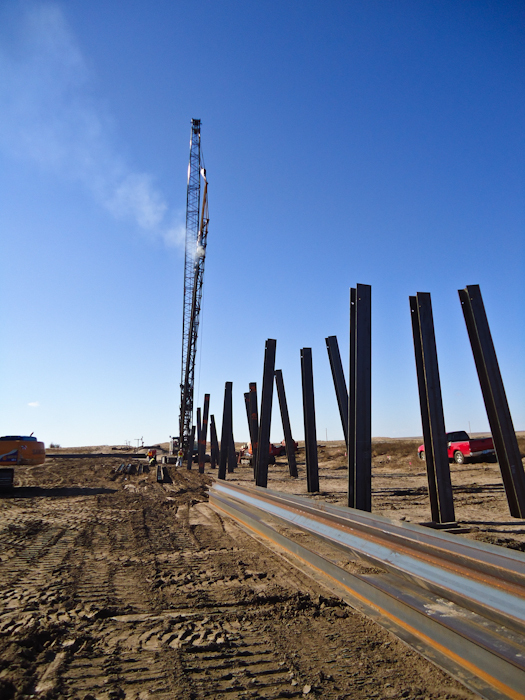 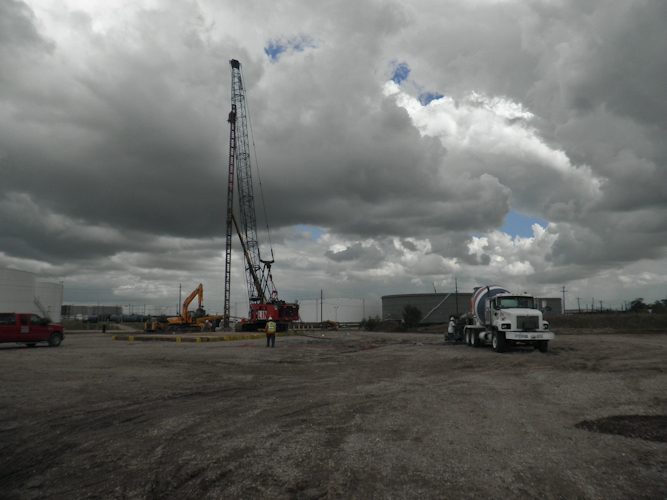 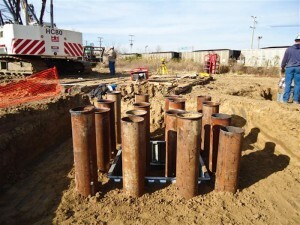 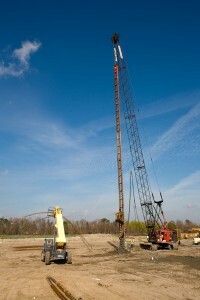 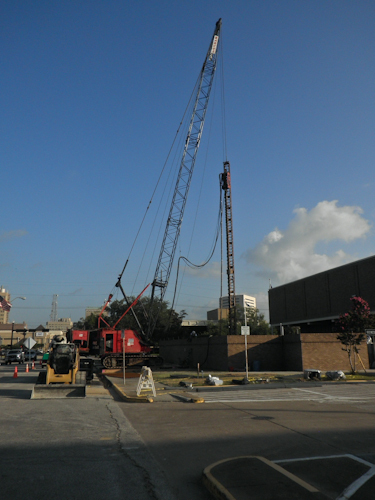 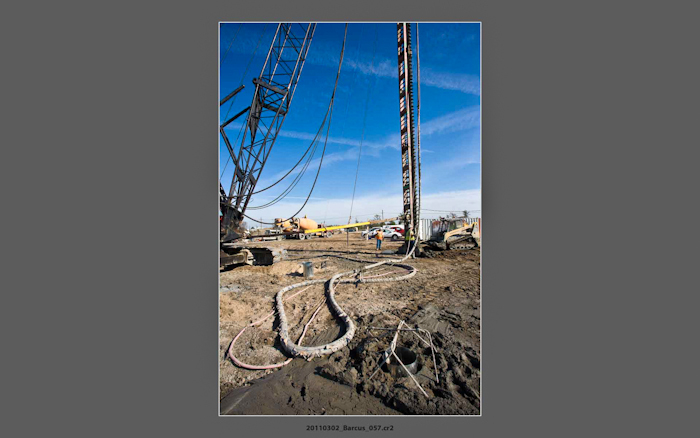 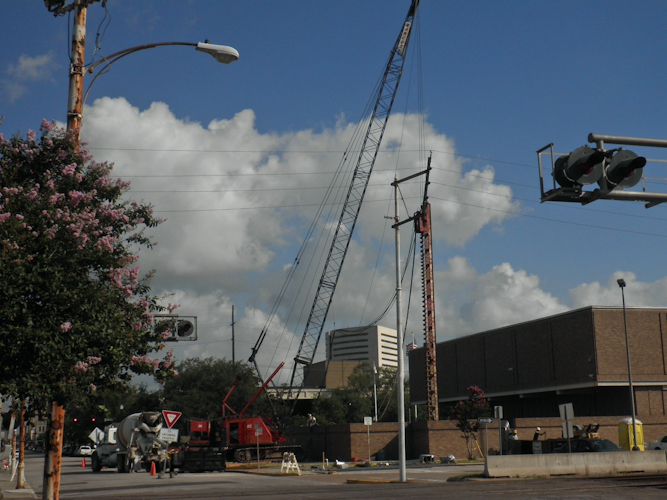 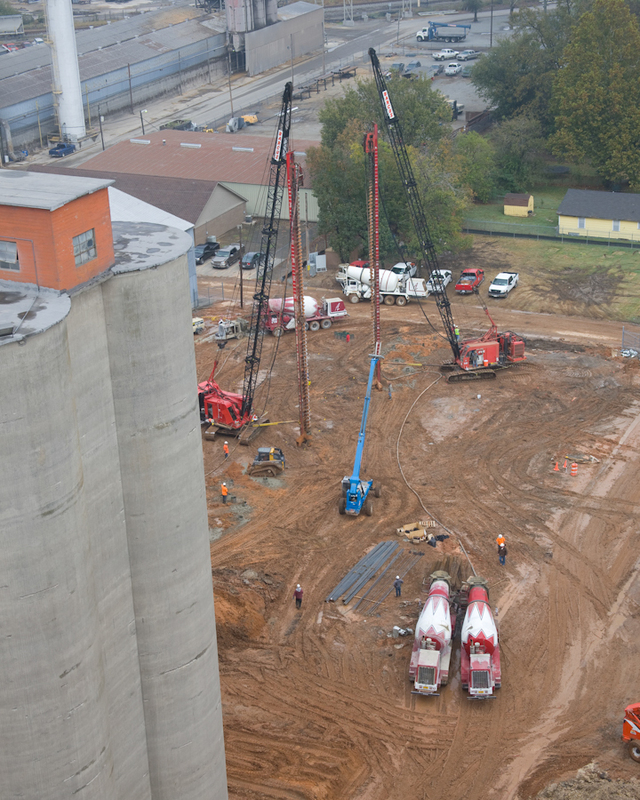 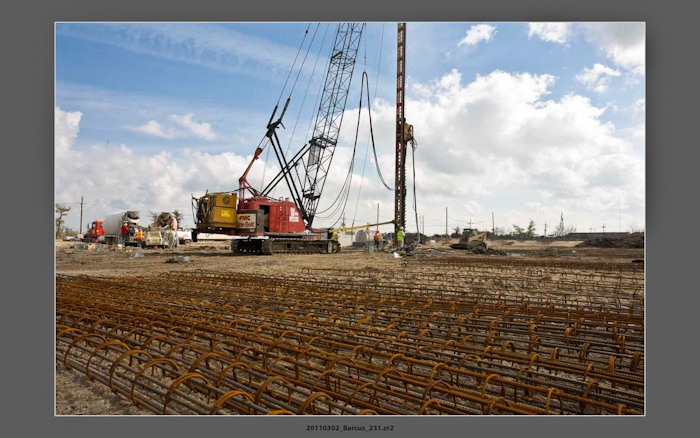 Auger Piles are commonly used for compressive design loads up to 125 tons, sometimes more. Typically 12 inch, 14 inch, 16 inch, 18 inch and 24 inch piles are used; however, there are occasions when 30 inch piles have been placed successfully. 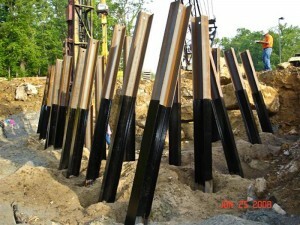 What if reinforcing is required? 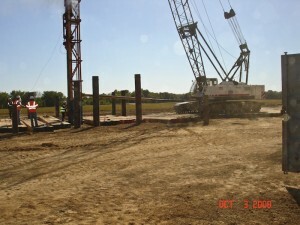 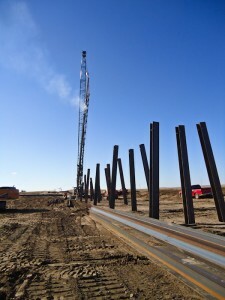 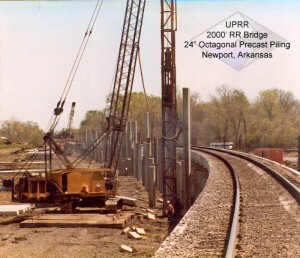 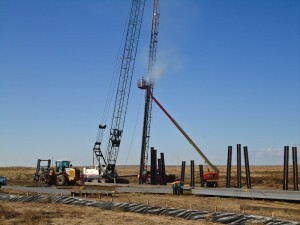 The piles are easily reinforced either by placing the steel into the pile after it is grouted, before the grout sets up, or by placing single rebars through the hollow stem before grouting. 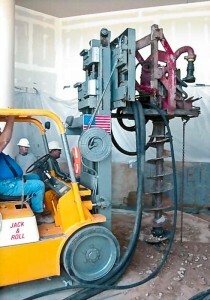 Where do I get Auger Pile Standards? When you’re working with Auger Pile by BARCUS there is no waiting for delivery of other materials. 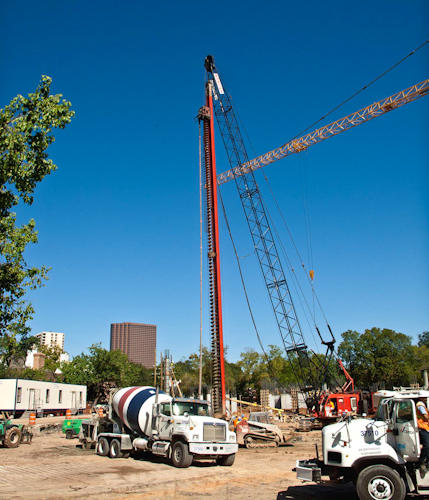 All you need is a concrete truck along with BARCUS’ special Auger Pile equipment, and you’re ready to begin your job immediately. 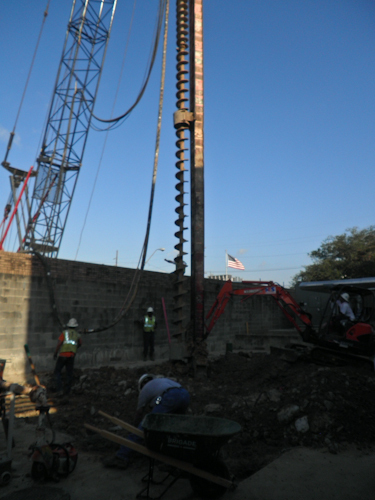 BARCUS Auger Pile can be effective in nearly all load-bearing applications and are also used in shoring and tieback projects. 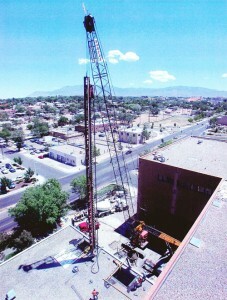 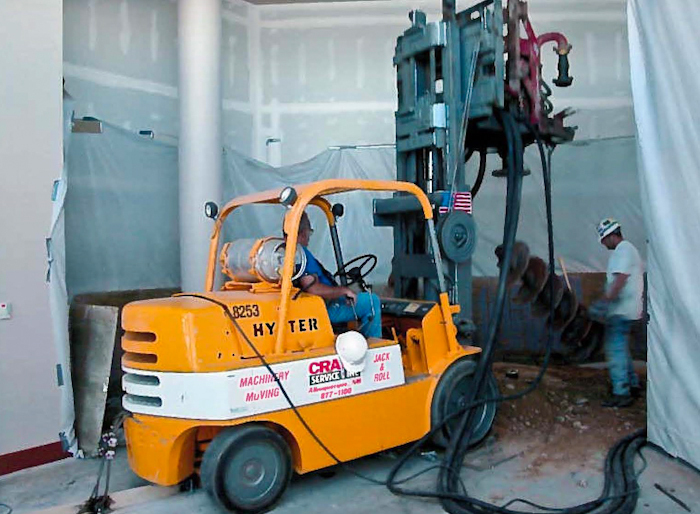 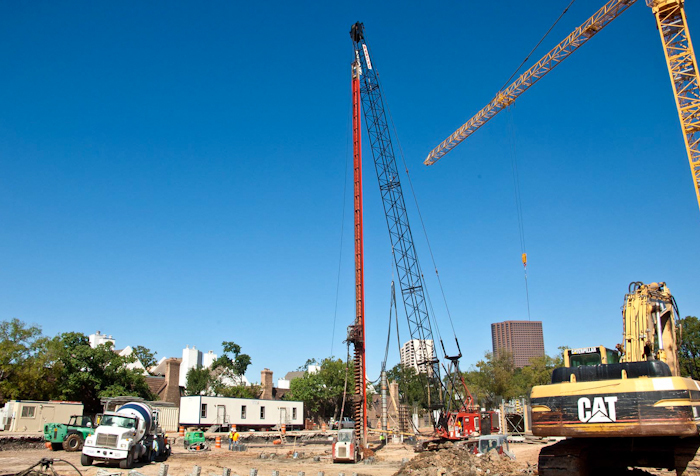 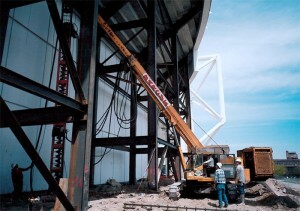 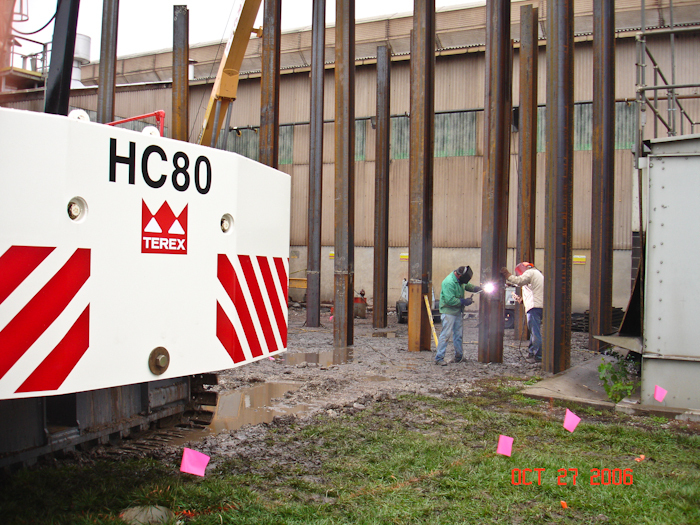 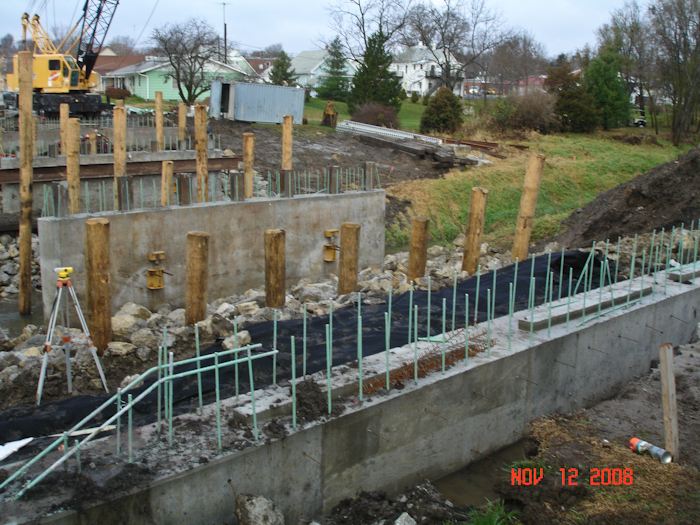 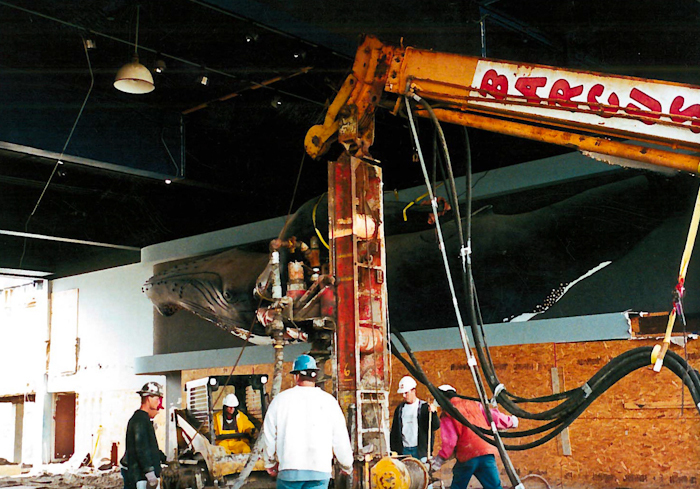 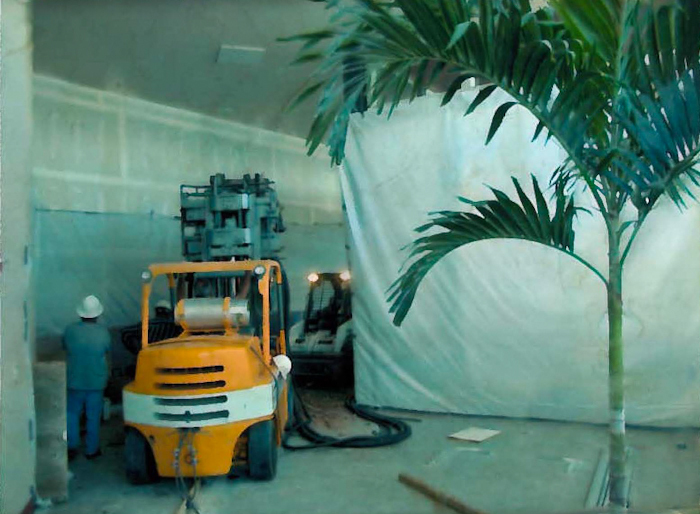 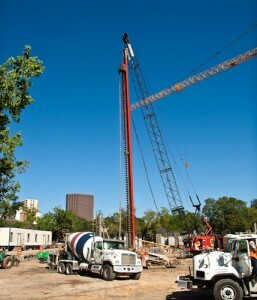 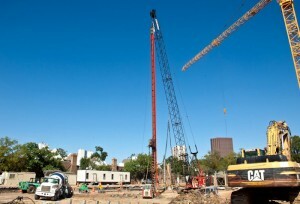 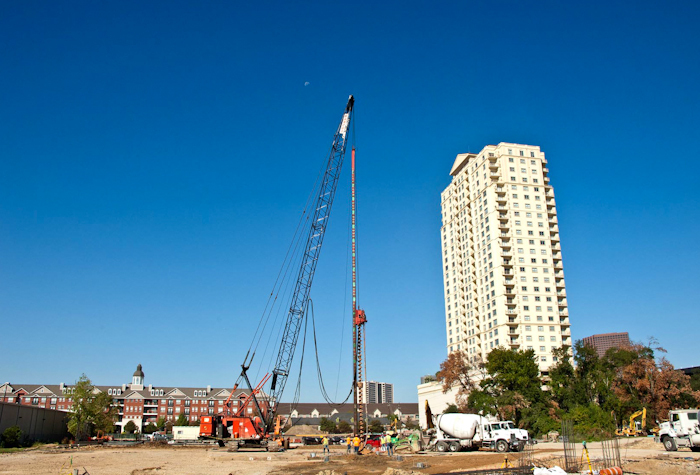 BARCUS is especially experienced in utilizing Auger Pile in low headroom situations (such as building additions). 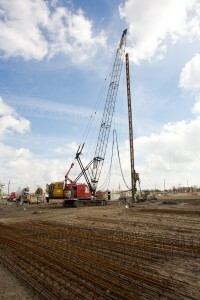 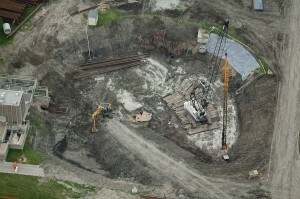 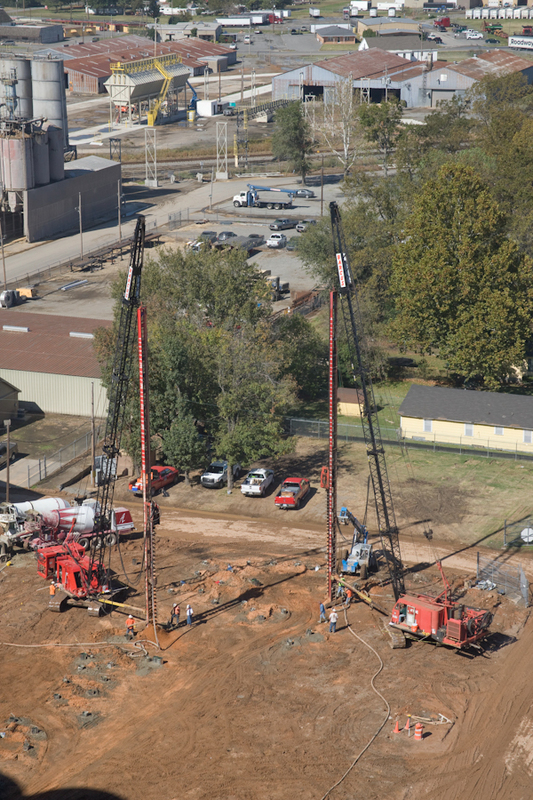 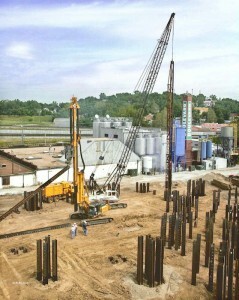 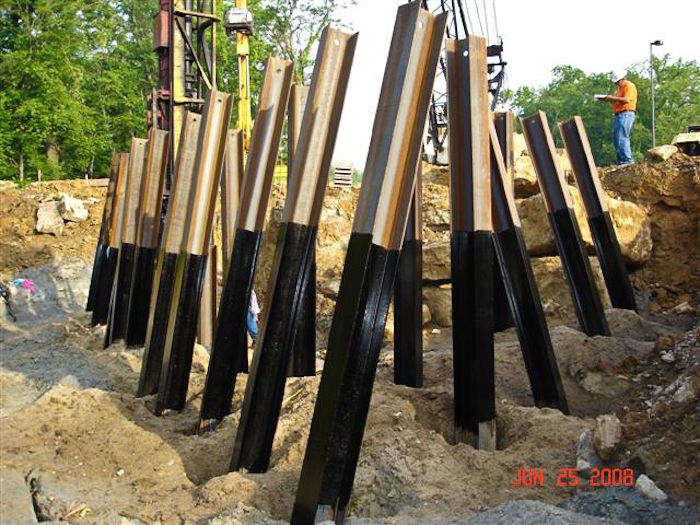 With capacities of 125 tons or more, BARCUS Auger Pile foundations are among the strongest foundations. 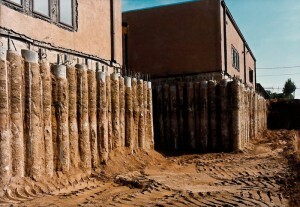 Because of the inherent speed and simplicity of the one-step BARCUS Auger Pile technology, the unique piles are often the least costly alternative for your foundation requirements. 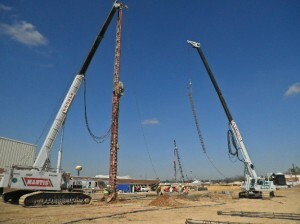 If noise is a problem, use Auger Piles. 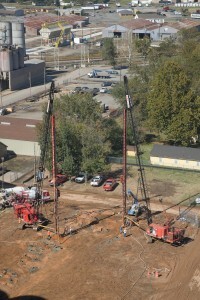 They don’t have the impact noise that is present during pile driving. 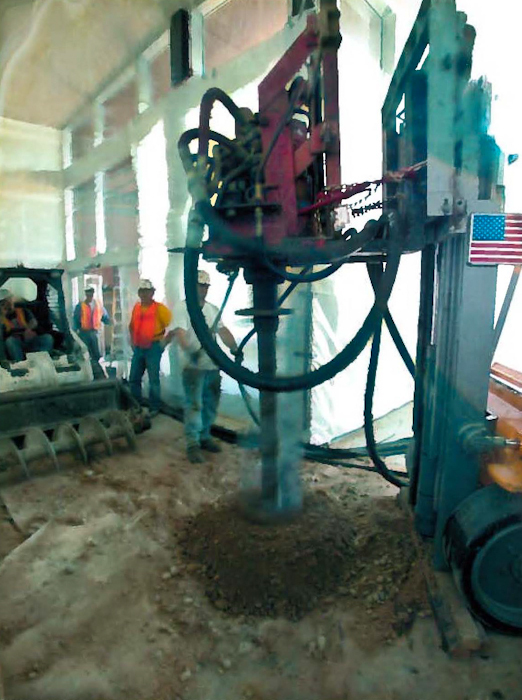 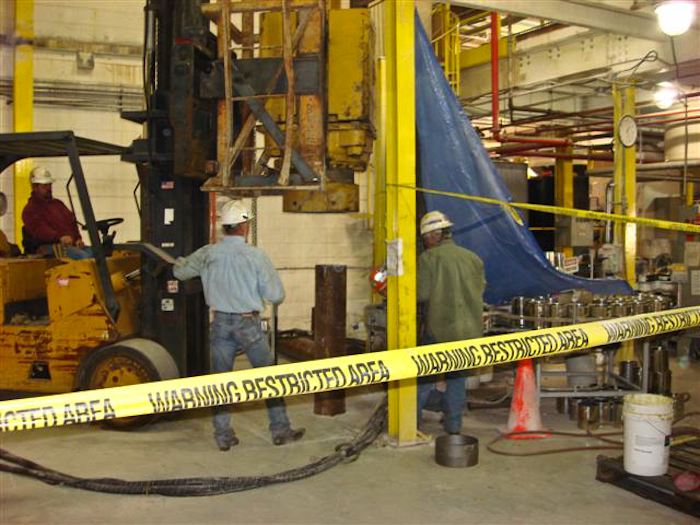 If vibrations are a problem, use Auger Piles. 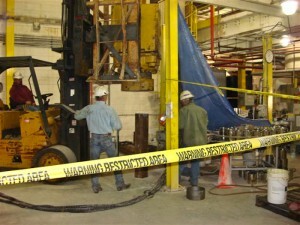 There are no impact vibrations. 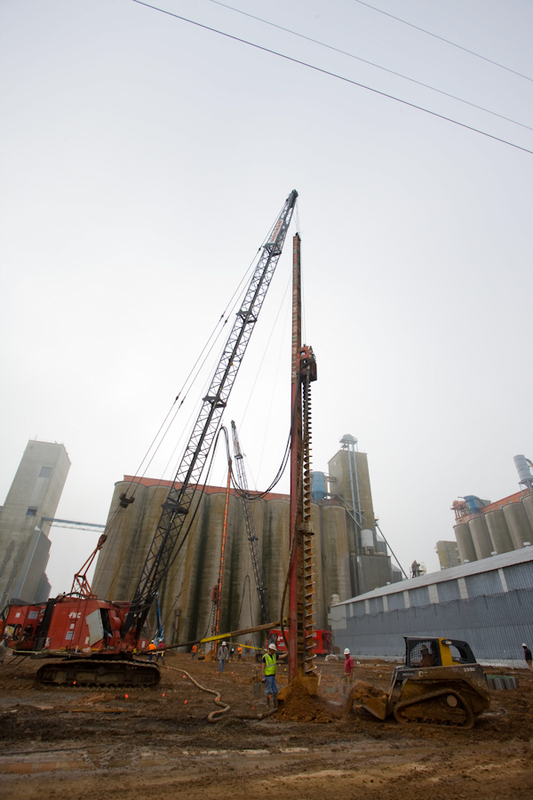 If you have restricted headroom, use Auger Piles. They can be installed when the headroom is less than 15 ft.
L.G. 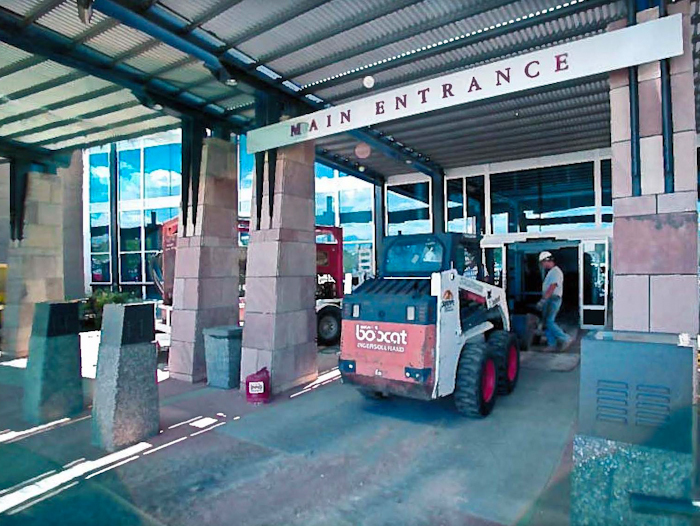 Barcus and Sons, Inc. has worked throughout most of the United States building a reputation as the Contractor who can satisfy your deep foundation requirements with a single call. 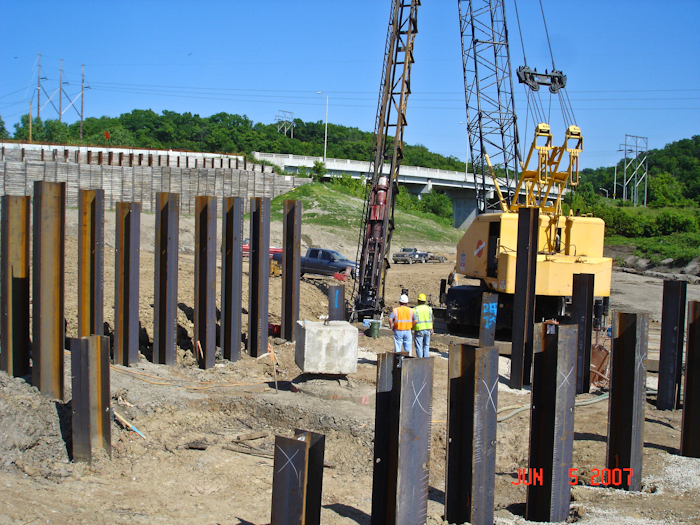 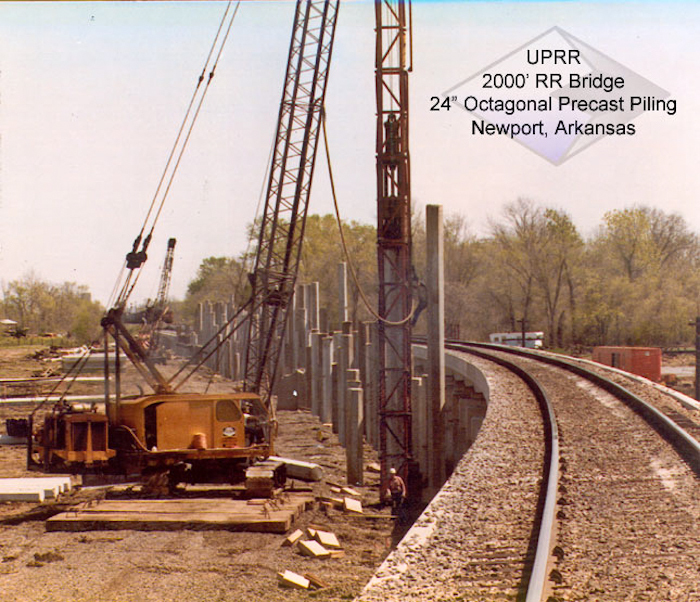 We can do this by offering experience driving Steel H-Piles, Timber Piles, Pipe Piles, Composite Piles and Precast Prestressed Concrete Piles. 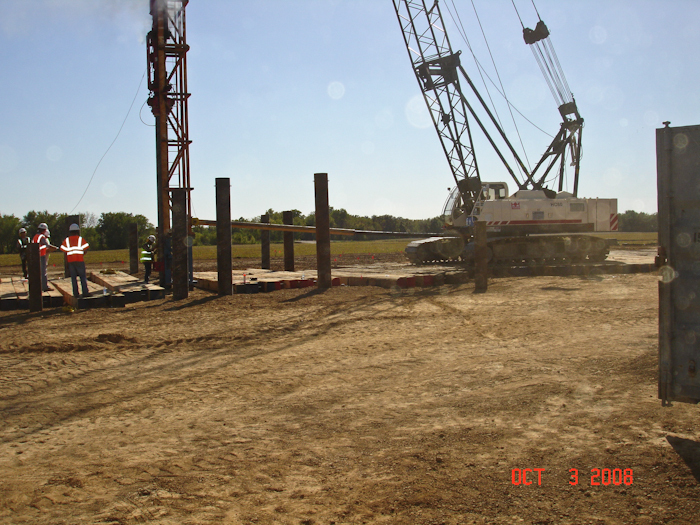 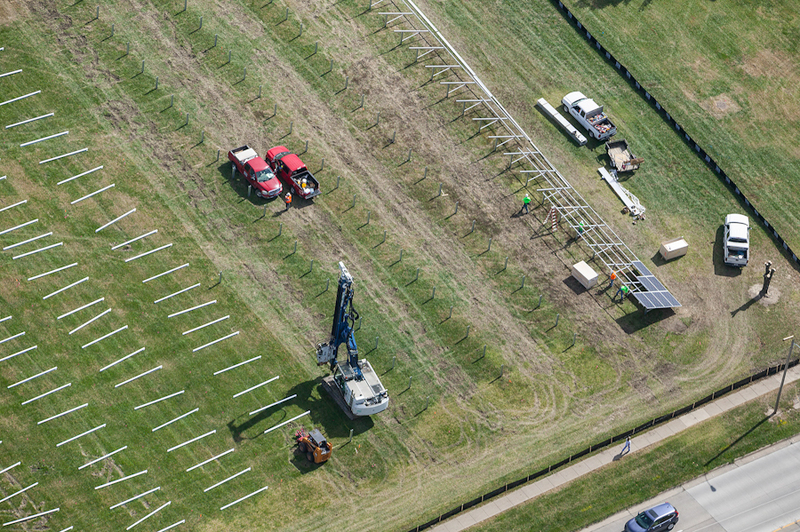 Our driven pile work is supplemented by experience in sheet piling, cofferdams, braced excavations and tiebacks. 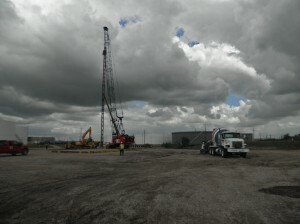 Barcus can help you determine which pile type can satisfy your job’s unique requirements based on your needs. 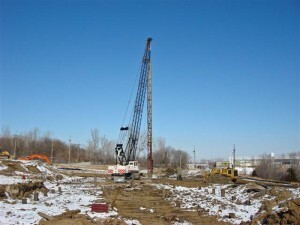 Your inquiry will receive prompt and professional attention.